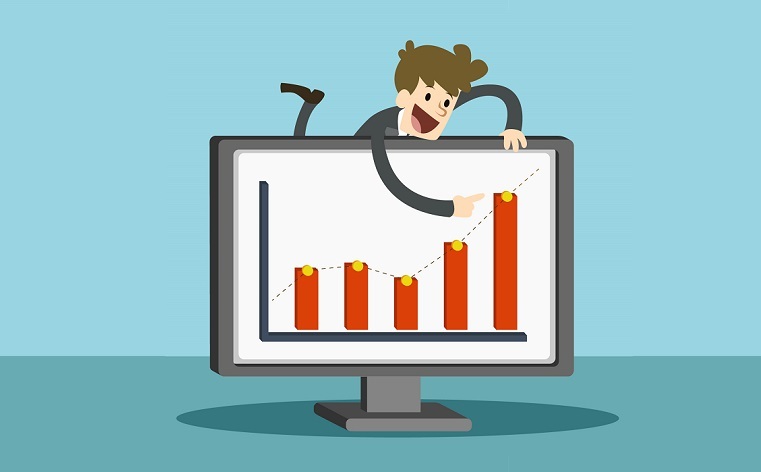 Prezi is a dynamic online zooming presentation tool that helps to animate your presentation. Some readers might complain about “airbag sickness” when seeing a prezi presentation but if use with appropriate pause and story boarding, Prezi is a very powerful tool in conveying your message. See below to familiarize yourself with Prezi. You can create one of below accounts (free) to start off. I recommend creating an Edu account for NTU faculty and students. Frames are a key component of the Prezi experience. 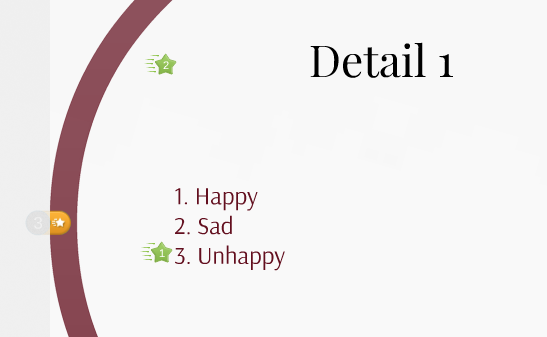 It not serves as the placeholders for your content but it also allows you to zoom into specific details. Unlike powerpoint, you can create a frame within a frame. Selecting “customize” will allow you to change the template theme and background. Select “Advanced” to further customize individual color and font-types of your theme. You can also visit prezibase.com for more templates. By default, your presentation path is in order of the frames appearing in the left column. You can change the order of the presentation by selecting and dragging the frames. Selecting “Edit Path” allows you to delete a path without deleting a frame, animate the content within the frame. You can also add a YouTube video to your prezi by pasting the URL of your desired YouTube video into a text box. Note: When inserting a YouTube video, you will need an active Internet connection to play the video when presenting. Click on the “star” – that appears along the path. select the content that you wish to apply the animation in order of how you wish the content to appear. This step is useful when you want the content within a frame to appear in a particular sequence. Click on “Select File…” and choose the PPT or PPTx file you want to import. After a brief loading process, will preview all of the slides for you in panel on the right-hand side of the screen. 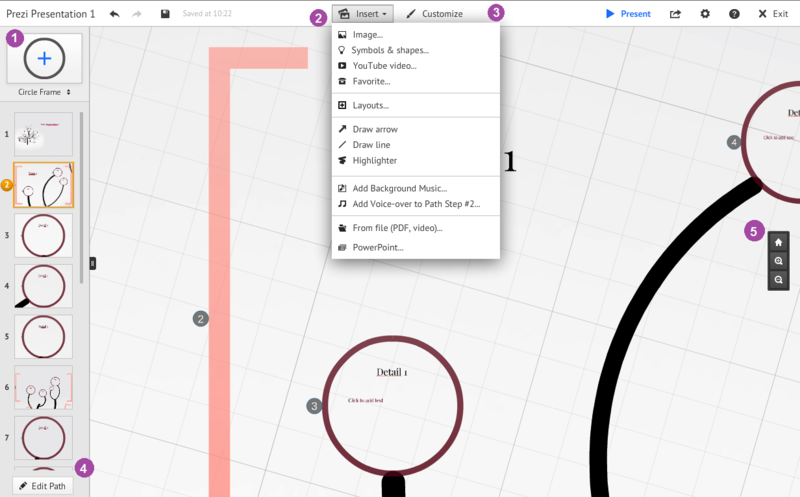 You can now drag and drop individual slides from the right sidebar onto your prezi canvas. 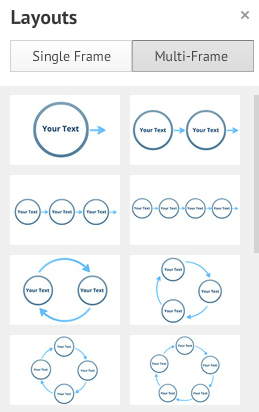 Note: The formatting of the content you import is dependent on both the prezi template and theme that you choose. 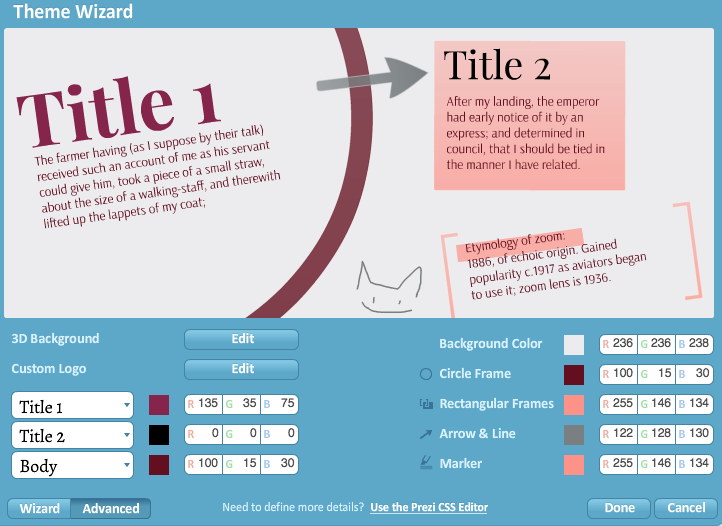 Your theme choice will set the colors and font choices of your prezi. This includes all content that is imported from a PowerPoint presentation. Select “Save” button on the top menu to save your prezi. 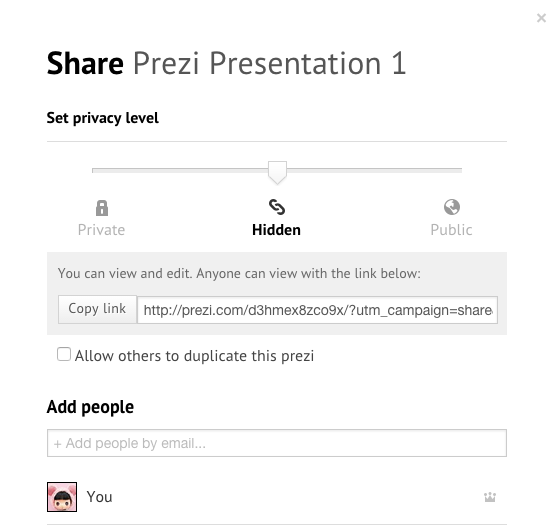 Select “Share” button on the top menu and “Share prezi…” to publish your prezi. Selecting the privacy option desired for this particular prezi and then ‘Close‘ the pop-up window. Private: Only you can view the presentation. Hidden: Anyone can view the presentation if you give them the link. The text in this button changes depending on the current privacy status of your prezi. For example, if the prezi is available for reuse, the button will read “Public & Reuseable”, if it is set as private; the text in the button will read “Private”. 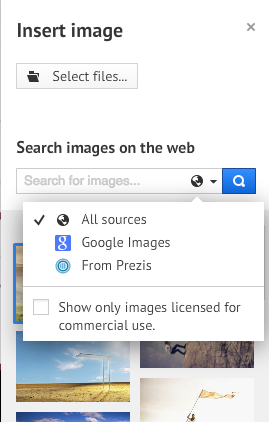 If you have a free Public Prezi license, your prezis are always public and you cannot set them as “Private”. However, you do have the option to set them unavailable for reuse to the public by unchecking the box “Allow public reuse and help spread ideas”. Here are some of my favourite picks. Prezi.com also provides good support to get you started.